As a child, I lived and went to early school in Pakistan, and then lived there again towards the end of secondary school, from 1978 to 1980. 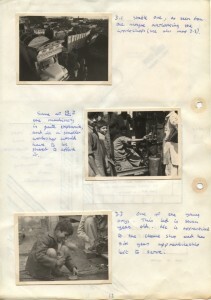 One part of the examination in ‘O’ Level English was to write an extended essay on a topic of your own choice. My choice was the painted lorries of Pakistan, a fantastic mixture of art, craft, technology, religion and emotional yearning. The project has sat in my bookcase ever since, treasured by me, but never read by anyone else. I wanted to print off the project for my parents, tidying up the pages in the process. Unfortunately, as one of those non-urgent good intentions, I had only scanned the project and typed out my handwritten pages before my parents died. I still went on to finish the plan and made the project available through Amazon as a printed colour book (£16), although I do not expect much demand for it. It is fabulous to see the amount of detail and clarity in the old photographs, all reproduced at 6 x 4″ or 9 x 6″ in the printed book. I cleaned up scratches, blemishes and the yellowed photograph corners in the photographs and used as much colour as possible, although most of the photographs are black & white prints that have an appealing timelessness. 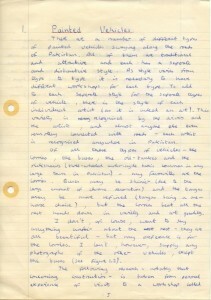 The text, with the exception of a spell-check and a newly-written preface, is exactly as I wrote it in 1979. It was a struggle to lay out more than sixty images in a printed book and create something that I found aesthetically pleasing. I used a variant of MarkDown to retype the text and LaTeX to manage the image layout. This created a consistent appearance throughout the text and generated a publication-ready PDF file. It is amazing that a file uploaded to a server on a Sunday can come back as perfectly bound printed paperbacks before Friday! LaTeX did a great job of transforming the scruffy, hand-written text into something resembling a book. 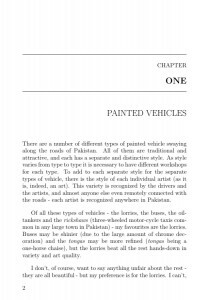 I have been using MarkDown and LaTeX for notes, handouts and presentation slides for a while, but a whole book is a novelty. 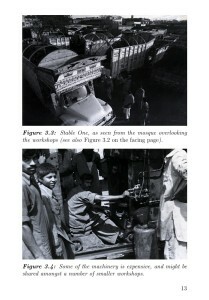 Painted Lorries of Pakistan by Stuart Neilson (17 May 2015, paperback, 80 pages with more than 60 photographs and illustrations). £16.